Monrovia – Foreign Direct Investment is the focus of African governments, especially a post-war struggling country like Liberia, for Economic growth and leveraging citizen’ empowerment through job creation. But the story here is quite different in many respects. Liberian lawyer Mark Marvey believes misgivings in concession negotiations have served as hindrance to development, leaving citizens at the mercies of foreign concessionaires. Last week Cllr. Marvey launched his book titled: ALL NATIONS ARE EQUAL AT LEAST ON PAPER. The book is the outcome of a detailed and rigorous research on concessions and foreign investments in Liberia. Speaking during the launching ceremony of the book, Cllr. MARK Marvey Noted that, “Actually, the story surrounding this book, is itself a miracle”. He outlined the numerous challenges he had to face while researching materials for the book. Mark is a practicing lawyer at the Heritage Partners Law firm in Monrovia, one of few large law firms in the country. He averred in a blurb of the book, “The central claim is that poor regulatory frameworks, dysfunctional institutions and low human capacities have opened the country up to exploitation and maneuver by foreign companies”. He said, “the study asserts that Foreign DFDIs/concessions could generate greater benefits to the country or its people, if regulated properly. The book was launched by the Chief Judge of the commercial Court of Liberia, Eva Mappy Morgan, who admonished Liberians to write their history. Judge Mappy said, it is important that Liberians write their own history. 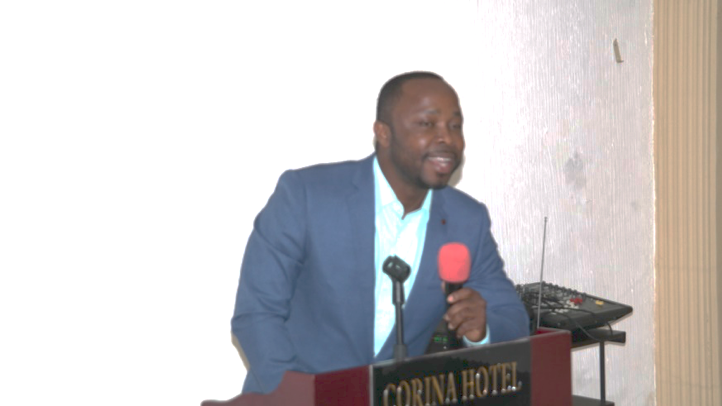 Also in remarks during the book launch, the president of the Liberia Chamber of Commerce Wendell Addy recommended that the book be used as a text book for Liberian students to learn about the extractive industries. He noted that it was a shame that Liberians have not learn lessons from issues that came out of past concessions. The Book launching ceremony was organized by the Better Future Foundation. The head of BFF Rev. Augustine Arkoi lauded Liberians for expressing keen interest in reading the book. Rev. Arkoi noted that knowing the mistakes that were made in the past relating to concessions in Liberia must not be repeated by current and future national leaders. Better Future Foundation is a non-profit Organization promoting peace, and development human capacity in Liberia.